My Thanks to Henry Neblett for submitting this photo of a St.Vincent Council - I suspect, in the sixties. 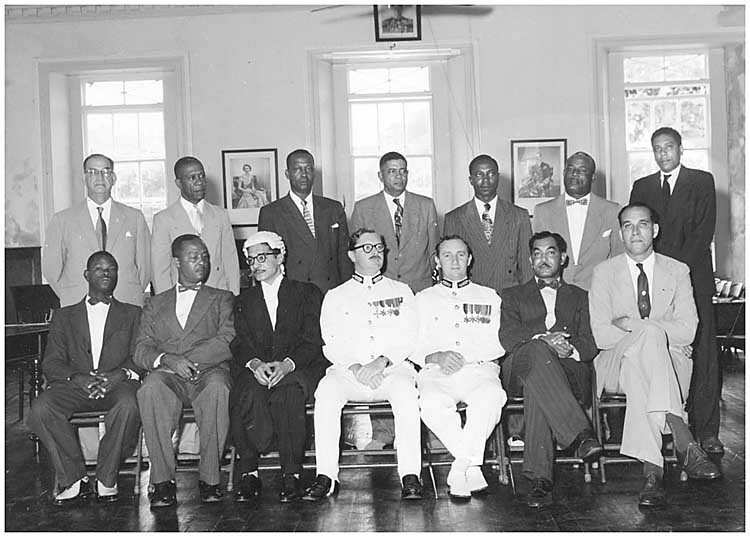 Back Row: Left to right: Alban DoSantos, A.C.Cyrus, Julien Baynes, Sam Slater, Clive Tannis, Levi Latham and George Leigertwood. In those days there were 2 officials on the council, the Crown Attorney and the Colonial Treasurer. If I can be of any further help, please get in touch.